Seven people crammed into a first-floor dormitory in Notre Dame of Maryland University’s Meletia Hall Aug. 23. Leslie Hernandez, a nursing major, traveled from Silver Spring with her parents, Teresa and Jose, and her older sister, Kimberly. 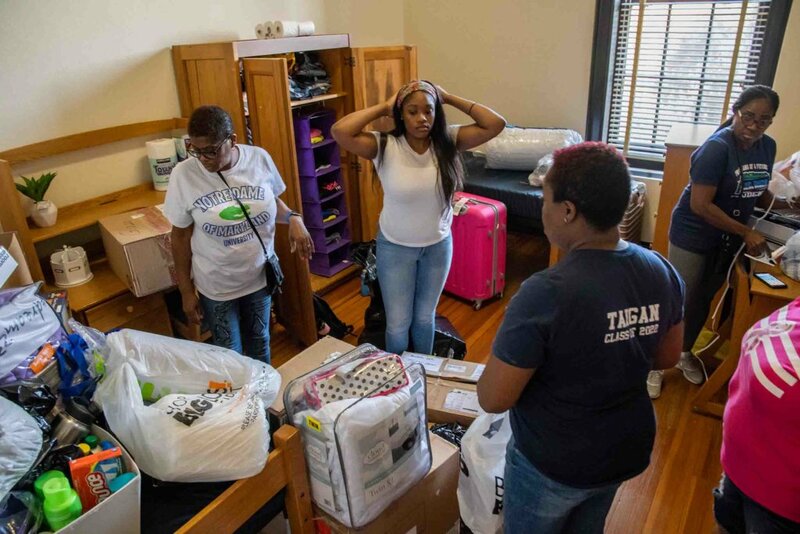 Jaya Green, accompanied by her parents, Lyn and Jay, moved in as a sophomore transfer. 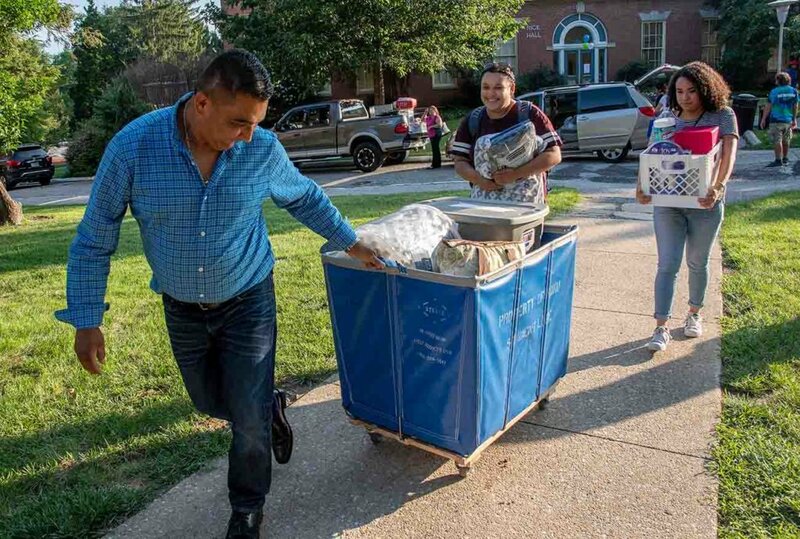 Hernandez is among the approximately 220 freshmen enrolled at NDMU, the largest incoming class to enter the university in its 124-year history. Hernandez, like more than half her class, is a first-generation college student. Entering Maryland’s only all-female college is “empowering,” she said, but not what initially led her to the university. Faculty, staff and students wearing tie-dye shirts in the school’s blue and green colors greeted incoming students and aided in the moving process. It was the second year volunteering for Don’she Cloude, a junior digital media arts major. Cloude loves that the university has a “close-knit” community. Even beyond the university’s northern Baltimore campus, Cloude and her family speak highly of Notre Dame. Her mother is friends with Tiffany Torbit, whose daughter, Taigan Jones, is entering as a freshman. 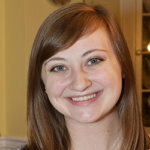 Jones was awarded a Presidential Scholarship. Cloude’s mother is the one who shared the good news over a phone call with Torbit while Jones was making her decision. Jones’ move-in crew included her brother, her mother’s friend and two grandmothers. All wore matching shirts with Notre Dame’s logo on the front and “Taigan – Class of 2022” on the back. Being in an all-female institution does not bother Jones at all. “I’m all about girl empowerment,” Jones said. Founded in 1895 by the School Sisters of Notre Dame, the college became the first in the United States to offer women the four-year baccalaureate degree. Including its graduate and online programs, NDMU’s enrollment is more than 2,500. During the 2017-18 academic year, opening undergraduate enrollment to males was among the dozens of proposals suggested by a committee exploring additional revenue streams, acknowledged Dr. Marylou Yam, president of NDMU. The idea was rejected. The school’s mission is to “educate leaders to transform the world,” and nearly half of its undergraduate students identify as ethnic minorities. In recent years, the university has dedicated itself to marketing by reaching out to students and aiding them in the pre-enrollment process. Most of the students are from Maryland, but the university is looking to expand its reach in coming years. Now welcoming a class 40 percent larger than its predecessor, Yam is excited for the future.